There are times when business practices harm the environment. This is especially true with modern industrialisation. That’s why it’s a challenge for business owners and managers to promote their eco-friendly stance and practices. How can companies effectively promote their products and services and still be perceived as eco-friendly? How can they also help the environment in the process? One uncommon way to accomplish that is through the use of a water bottle refill station with advertising panels. Advertising is a means to communicate with the public. The goal can be brand awareness or to attract more buying customers. It can be in many forms such as flyers, brochures, billboards, and posters. Another form of advertising is through the use of standing advertising panels. 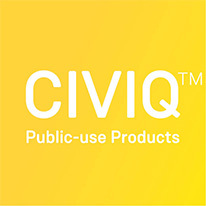 More and more companies and organisations now use them to promote their products and services. Why? One reason is that it provides a lot of visibility. Advertising panels stand out. One success measure of advertising is how many people it can reach. Another reason advertising panels are a choice is that they can stand the harsh weather and the test of time. Flyers, brochures, billboards, and posters can all fade away or need replacement after some time. The wind, moisture, and the unpredictable weather can all contribute to that. In contrast, advertising panels can endure the outdoors and remain clear and visible even through the months and years. They can reach more people and even help the companies get better returns for their investment. Companies can also take advantage of advertising panels to help the environment. How? They can install water bottle refill stations with advertising panels. Marketing agencies can also opt for these if they want to further help their clients reach more leads and customers. With water bottle refill stations, the public can have access to clean water without selling new bottled water. More and more people now are becoming aware of the benefits of hydration and choosing the more eco-friendly practices (e.g. refilling instead of buying new bottled water). Also, these water bottle refill stations with advertising panels provide a lot of visibility. For companies and organisations, this is a huge plus. They can advertise their products, services or advocacies while helping the environment. Truly, this is a win-win solution for both the environment and the organisations. Companies and organisations can install a water bottle refill station in parks, beaches, sporting facilities, and other areas. If you think a water bottle refill station is what you need, contact us today for more information. Some organisations have already conducted surveys about the preferences of customers. Some say that over 50 percent of all consumers prefer dealing with companies that apply eco-friendly practices. One survey even claims that it can be as high as 80 percent. No matter the result, one thing is clear. More and more people now are becoming aware of the environmental impacts of companies (especially the industrial ones). That’s why some of these companies position themselves as applying environment-friendly practices. From production to distribution, there’s a way to implement eco-friendly practices. For example, manufacturers are now starting to use more natural materials in their production. Some even use solar or wind energy to complement the traditional energy sources in their manufacturing processes. Even during the packaging and distribution, eco-friendly practices now rule. More companies now are also becoming more responsible when it comes to the disposal of waste. Many even recycle their own stuff and wastes from other organisations. Each of the established companies often has a stated Mission that unites the whole organisation. This way, their efforts will all point toward one common destination. All their efforts should stay consistent and on track. If they want to promote their company as one supporting the environment, every little detail should be in line. That’s why some of them even encourage the use of reusable water bottles. This way, the public will use fewer (or zero) plastic bottles. Imagine the hundreds of plastic water bottles you prevented from coming into the landfill. During fundraisers and other large events, many organisations install portable drinking fountains. This way, people can just drink from those clean water sources without buying sugary drinks or bottled water. Both the reusable water bottles and portable drinking fountains can help companies stay consistent with their environment-friendly practices. It’s a small investment but the companies can produce a positive impact that could last for generations. Consistency is the key to achieving a goal and helping the environment. Even in small acts, the vision should remain consistent. It’s also the key to making a long-lasting impact both for the organisation and the environment. Often, the employees may be a bit too formal to one another. That’s because everyone’s expected to talk and act professionally. Almost all the interactions that happen are work-related. It’s especially the case when the interactions are just happening during meetings. That’s why it’s hard to build a more natural collaboration among employees. In addition, having a social life inside the office is a challenge. But during each trip to the water cooler or drinking fountain, the employees have a chance to be more casual. They might still talk about work, but the setting is a bit different. It’s more relaxed and it’s also a chance for employees to build a more natural connection with one another. What happens when there’s an upcoming deadline for a project? The pressure and the stress can help the employees focus more. But if this happens on a regular basis, this actually leads to less productivity on the long term. Our bodies are not just designed for chronic stress. There should be allotted times for relaxation and getting the mind off work. Aside from team building events and company celebrations, a simple trip to the drinking fountain or water cooler can help remove stress. It’s a small thing but when employees do it every day, the results can accumulate. The employees can have more chances of socialising. They achieve some form of relaxation and they can have more energy to tackle the next set of tasks. It’s their time to rejuvenate and maybe get some ideas from their fellow employees. Aside from our health, did you know that dehydration can affect employee productivity? Our bodies need a consistent supply of water so we can function properly, both mentally and physically. That’s why it’s important to stay hydrated all day long (especially in the workplace). One way to encourage employees to drink more water is to install a water cooler or drinking fountain nearby. Aside from the social benefits, staying hydrated and water cooler conversations can also lead to healthier bodies. As a result, employees can become more productive and contribute more to the company. Before you install a drinking fountain or water cooler in your workplace, it’s good to choose a reliable one or that meets strict standards. That’s why our fresh indoor drinking fountains are made with a priority on safety and reliability. Employees and managers are sure to benefit from these. Aside from offices, these fresh indoor drinking fountains can also be installed in factories, hospitals, and schools. Contact us now if you want to know about our pricing. MEEGAN Fitzharris says work is commencing to install the first of six new water refill stations. “Since 2014, the ACT Government has progressively installed 30 ‘Water on Tap’ refill stations in parks and public places across Canberra in an effort to reduce the use of disposable bottles and increase fresh, tap water consumption,” Meegan said. 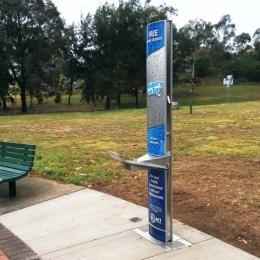 “The water stations have proved popular and in coming weeks six new water stations will be installed at the Gungahlin Town Centre, Civic Square, Margaret Timpson Park, Manuka Oval, Cook shops and Kambah shops on Mannheim Street. Cleanliness is often associated to clarity and being spotless. Many people think the same way about drinking water. If it’s clear water, there shouldn’t be any problem about it. They couldn’t be more wrong. However, looks can be deceiving. Most water contaminants are microscopic in nature. We can’t see them unless we utilise a device or powerful equipment. The water looks clear but there could be microorganisms and harmful chemicals lurking within. What are the common pollutants in drinking water? These include chromium, lead, arsenic, mercury, and other chemicals. They can easily find their way into our system through leaks and other means. The other set of pollutants are biological. These are the microorganisms such as E. coli. The presence of this microorganism can indicate contamination of water by human waste and sewage. According to the Environmental Protection Agency, chemical and biological contaminants are two of the types of pollutants in water. That’s why many government agencies and even the private sector are closely monitoring those. They are also setting policies to control the contaminants and mitigate the risks to the public. What can you do to minimise your exposure? Government agencies and water utilities are giving their all to keep the public safe. However, there are many pathways on where contaminants can make their way towards our mouths and bodies. In each path and section, our drinking water can be exposed to risks. One effective way to minimise the risks is to make sure that the path right before the water reaches our mouth is totally clean and safe. Even if there are some contaminants in the pipes and water source, at the water outlet we’re safe if it already got rid of those pollutants. For example, if you’re using a drinking fountain, the processes inside that equipment should be all perfectly working. This way, contaminants won’t find their way into the water we drink. In addition, the nozzle should be antibacterial for the drinking water to be truly safe. This is important especially in workplaces and public areas where people will reach out to any water source to quench their thirst. Thankfully, many drinking fountains now have antibacterial nozzles. People can now rely on these whenever their thirsty especially during outdoor events. They can now drink clean and safe water without taking a glance at sugary drinks (which makes us sick in the long run). Also, people don’t need to endure the thirst because there’s a safe water source nearby. What makes water both clean and clear? Making sure the place where the water comes out is clean should be a priority. The water could have travelled kilometres before reaching us. It’s important that the final point is clean and safe. That’s why antibacterial nozzles in our drinking fountains are put into place. This way, bacteria and other harmful microorganisms won’t find their way inside our bodies.